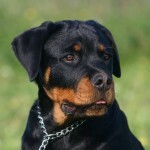 The damage done when a Rottweiler inflicts dog bite injury to a person can be devastating. 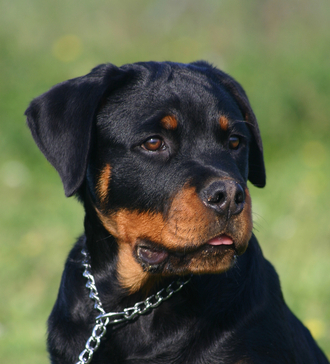 Given the Rottweiler’s size and strength and the behavioral traits currently selected for by certain breeders, it is understandable why Rottweilers have been implicated in many fatal dog attacks. Rottweilers obviously have the capacity to inflict serious bodily injury onto a person. Nonetheless, one must keep levelheaded realizing that not all Rottweilers are necessarily inherently aggressive by nature. The vast majority have the potential to make good family pets provided that are trained and socialized properly, neutered, derived from reputable breeding lines, and placed in the care of responsible owners. Unfortunately, some Rottweilers fall in the hands of irresponsible owners and this poses concern for public safety. A case in point is the attack on a 2 1/2-year-old boy by two Rottweilers in Englewood, New Jersey in 2012. The incident happened when the boy was sleigh riding with his mother in the front yard of a relative in a residential neighborhood. Two unrestrained off-lead Rottweilers approached, and shortly thereafter one of them clamped down on the boys leg and started chewing on it. The boy clinged to his mother, and both fell to the ground, a Rottweiler continued to gnaw on the boys leg, ankle and foot. He then dragged the mother and boy for a distance of about 80 feet into the street. The attack stopped when the grandfather came out of the house and yelled that the dog. It is uncertain if the other Rottweiler took part in the attack. Apparently, animal control knew about the presence of the dogs in the neighborhood because of past instances when they were reported for running at large. Understandably, the boys sustained severe injury, underwent surgery, and was hospitalized for a week. He was lucky to survive. The case settled for $1 million in July, 2014. $850,000 was awarded to the victim and family members who witnessed the incident received $200,000. It is uncertain if animal control was involved in the settlement. The family was represented by attorney Robert Linder of Englewood, New Jersey. Richard Polsky, PhD is an animal behavior dog bite expert witness based in California. Dr. Polsky is a Rottweiler specialist available for consultation and testimony about Rottweiler dog bite attacks. He has worked successfully with New Jersey attorneys and is available nationwide for consultation.